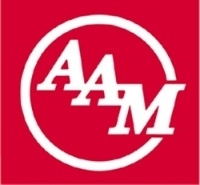 American Axle & Manufacturing Holdings Inc. today said net income increased to $25.8 million in the second quarter, up from $4.7 million in the year-earlier period. The company said the sharp percentage increase was a result of restructuring costs of $36.5 million last year from closing its plants in Detroit and Cheektowaga, N.Y.
On a per-share basis, the company generated net income of 34 cents a share during the quarter, which was above analysts' expectations of 30 cents a share, as compiled by First Call. The news pleased investors, who pushed the company's stock to the highest level in about five years. The stock rose 5.7 percent to close the day at $20.93 a share. The company's stock has gained 77 percent this year before today, compared with a 25 percent climb for the Russell 2000 Index. A rebounding housing market and an aging fleet of existing trucks is fueling demand for new pickups, such as Chrysler Group LLC's Ram Heavy Duty and General Motors Co.'s Silverado and Sierra, which the company supplies. This year through July, full-size pickup sales increased 23 percent, according to the Automotive News Data Center. "We are working hard to meet that demand and push as hard as they want to go," Chief Financial Officer Michael Simonte said on a conference call with analysts and investors. Second-quarter net sales rose 8 percent to $799.6 million, from $739.8 million last year. Non-GM sales were up 13 percent to $223.8 million, from $198.2 million a year ago. American Axle reported a $31.4 million increase in operating income in the second quarter. American Axle ranks No. 66 on the Automotive News list of the top 100 global suppliers with worldwide sales to automakers of $2.93 billion in 2012.